The Patriots grabbed the Browns' former first-round pick when they traded for Barkevious Mingo. Now, it looks like Cleveland has returned the favor. 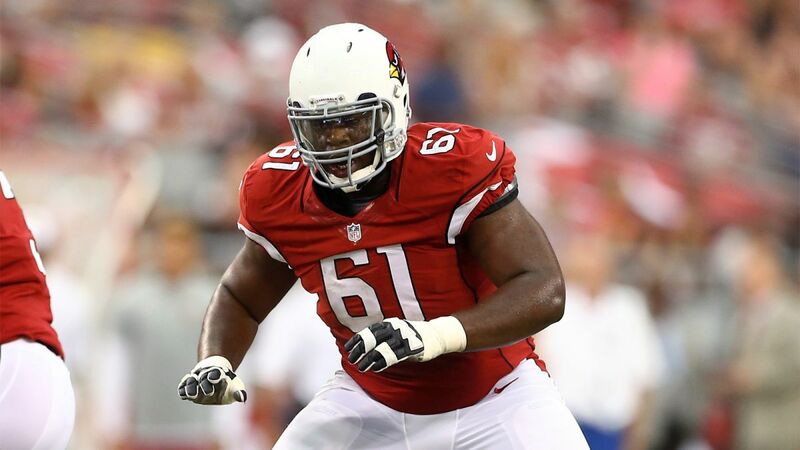 After New England released him this past week, the Browns picked up former first-round offensive lineman Jonathan Cooper. Cooper was originally picked seventh overall in the 2013 draft by the Cardinals, but made his way to New England as part of the Chandler Jones trade. He was projected to be one of the Patriots' starting guards, but a foot injury he sustained during training camp put him at a serious disadvantage. After rookie Joe Thuney and second-year Shaq Mason outperformed expectations, the Pats cut Cooper to free up room for Tom Brady and Rob Ninkovich. It remains to be seen how Cleveland will use Cooper, or if he can resurrect his career there, but the Browns could use all the help they can get. After Robert Griffin III, Josh McCown, and Cody Kessler have all been injured, the Browns are down to Charlie Whitehurst as their starting quarterback, with wideout Terrelle Pryor as their backup. While they possess a top-flight rushing attack, the pass blocking has been atrocious. It looks like Cleveland wants Cooper to help in that department. The old saying "one man's trash is another man's treasure" comes to mind here. Considering how good the Pats are and how terrible the Browns are, it's especially appropriate. We'll see what the Browns can do with Cooper, but if New England couldn't fix him, it's likely nobody can.